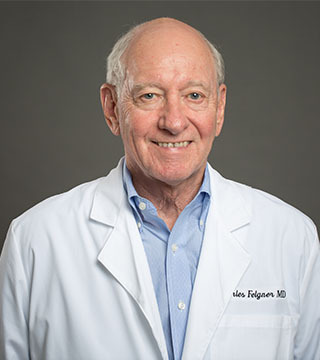 Dr. Charles Felgner was born in Birmingham, and grew up in Homewood, Alabama. He graduated from Shades Valley High School and Birmingham Southern College. He then completed his medical education at UAB. He completed his Internship at St. Vincent’s Hospital and his residency in Internal Medicine at UAB Hospitals and Clinics and St. Vincent’s Hospital. He is certified by the American Board of Internal Medicine and is a Fellow of the American College of Physicians. He is interested in all aspects of Internal Medicine, especially, control of hypertension, and preventive medical care.